Great Testimonial from a Richmond Hill, GA Seller. Recently Jeanne Arlow received a 5 star rating from Schuyler Lee when she helped him sell his Richmond Hill, GA home, while relocating overseas. 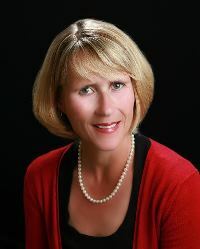 “Jeanne Arlow is both personable and professional. She made us feel comfortable whenever we met with her or spoke with her – like we were her only clients. After speaking with us, and as we continued working together, Jeanne really got to know what our opinions were, where our priorities were, as sellers, that she could anticipate our needs with great accuracy, thereby making the process that much smoother. She was knowledgeable about the market and provided guidance to us in a way that was not intrusive or domineering, and really allowed us to exercise our own agendas with purpose and the benefit of her advice, not just “what the Realtor said”. We had a contract that fell through less than 3 weeks before closing – the buyer simply walked away. Jeanne got right back on the horse and began an aggressive campaign of open houses and other media blitzes, and got us another buyer in weeks time.